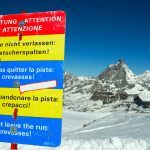 According to report put together by Zurich head hunting firm Schilling Partners, building a career in Switzerland, requires more than mastering English. The firm, which works with SMEs and large corporates, says linguistic ability is central to choosing managers for companies that span all of Switzerland. 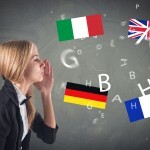 The ability to communicate in German and French is crucial, said one of the firm’s consultants, Marie-Emmanuelle Messabih. For companies focused on the Swiss market, for example in construction of real estate, national languages are crucial. The report’s recommendation echoes the words of federal councillor Alain Berset who in early July made clear his desire not to let cantonal educational authorities prioritize the teaching of English over French at primary schools in Switzerland’s German-speaking region. The report shows that in the public sector, 79% of top management from German-speaking Switzerland speak good French, while 78% of French speakers speak good German. And unsurprisingly, given the small number of Italian speakers in Switzerland, 85% of Italian speakers working in the public sector speak German, and 100% speak French. The picture in the private sector is different. 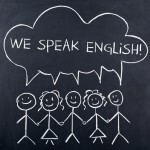 But while multinationals are requiring English more and more, SMEs still employ more people. Learning Swiss German is also important. Marie-Emmanuelle Messabih said she recently witnessed difficulties when a French-speaking CEO was posted to Zurich. German speaking Swiss switch easily into high German in a professional context but prefer to discuss more personal things in their Swiss-German dialect. This complicates social integration for French and Italian speakers, she said.